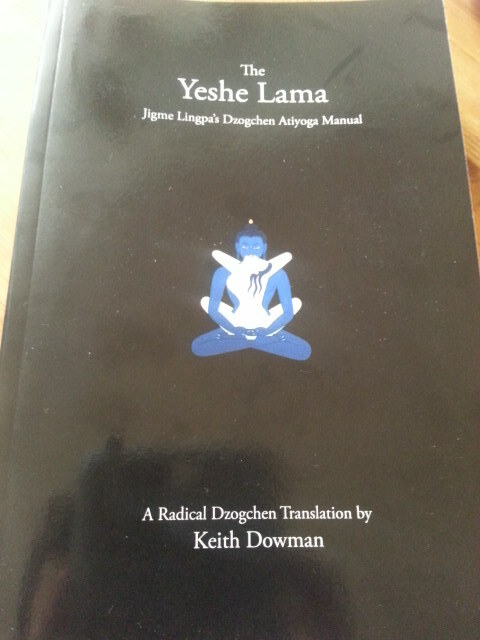 The Yeshe Lama: Jigme Lingpa’s Dzogchen Atiyoga Manual. Here is the actual review, unlike most reviews that I publish, this one is less about the book and more about everything else…. There should be an an understanding that spiritual path of an individual is their own business to an inconceivable extent. Thus if one were to locate a book such as this, it be pretty important to align your practice in a way so that you benefit from it. And only the person them self can possibly know how to do it. So, if a person connects with these “top most” teachings with appropriate degree of seriousness, they will know what to do how to handle these. After all this is that spiritual path we are talking about here, the one and same that millions of people do not see any value to at all, let alone Buddhist, or Dzogchen teachings… So, yes it is most interesting to try and wrap your mind around the idea that century after century there seemingly persists a large number of people that do get the teachings, do attempt some manner of meditation and still seem to follow into the direction of the “butter bag” – a traditional tibetan idea based on the fact that butter was stored in a leather bag. That bag would become so hard from all the contact with the butter, so it would not be ever softened ever again by application of any more butter… The highest risk that people coming in contact with Dzogchen and liberating Vajrayana teachings is not using these to liberate. Then there is a storm wave of voices about accurate, bad, good whatever translation that this one is or not. Well when your 40 years of study and contemplation result in your translation of a Yeshe Lama, then it will be possible to compare. Until then, we got this. And yes in the west and in US we do not have a strong Buddhist tradition at all, it all is very new and very much uncertain. So, one hears people very actively attempting to discourage others in taking their path seriously. May this review and most of all the book about which I managed to talk very little, be of liberating benefit to all!